27 Oct 1932, Universal City, California, USA --- California: Actors Flee Blazing Movie Set. 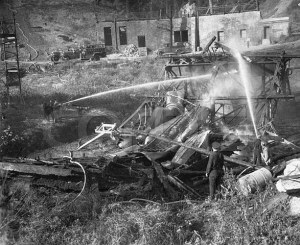 Fanned by strong winds, a fire which started in the brush in the rear of the Universal Picture Corporation Studios at Universal City, California, swept through 50 acres and engulfed four movie sets, valued at $100,000, and sent actors running to safety. 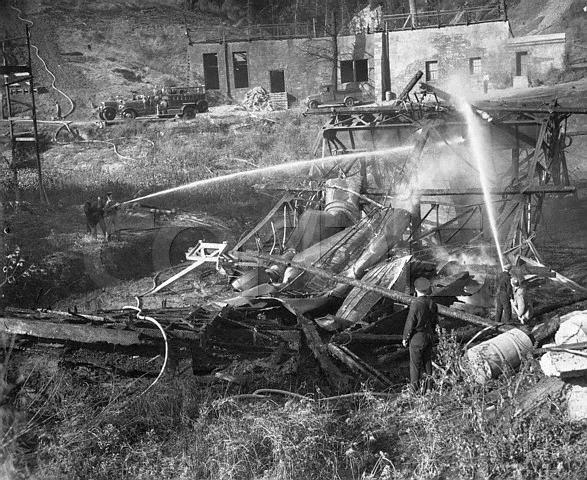 Above is the remains of a movie set steamship, which costs $30,000, after the blaze.